Here, perhaps, is the greatest Indian novel by a woman. 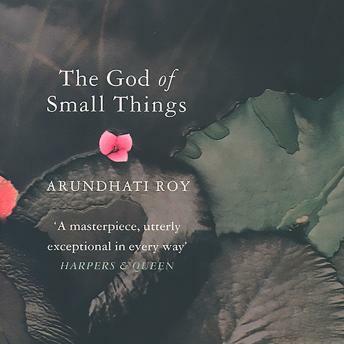 Arundhati Roy's 'The God of Small Things' is an astonishingly rich, fertile novel, teeming with life, colour, heart-stopping language, wry comedy and a hint of magical realism. Set against a background of political turbulence in Kerala, Southern India, 'The God of Small Things' tells the story of twins Esthappen and Rahel. Amongst the vats of banana jam and heaps of peppercorns in their grandmother's factory, they try to craft a childhood for themselves amidst what constitutes their family - their lonely, lovely mother, their beloved Uncle Chacko (pickle baron, radical Marxist and bottom-pincher) and their avowed enemy Baby Kochamma (ex-nun and incumbent grand-aunt).